A unified front of Chilean conductors, cashiers and other Metro workers in Santiago has formed to demand better working conditions by the end of the month. Chilean workers from the Santiago Metro, the subway system of the country’s capital, staged a demonstration on August 19 inside a major Metro station in order to bring awareness to their campaign for better working conditions. Among the demands being made by the workers are compensation for unpaid overtime and night shifts, improved access to clean bathrooms, and for the Metro to meet basic working standards. The demonstration on Wednesday began at 8 a.m. with a banner drop at the Baquedano station for the 1 Line. The banner read: “Because you deserve a decent transport, support us! We move Santiago!” The workers then had a speakout where they announced their demands to big rush hour crowds of passengers and asked them to support the #MovemosSantiago campaign. Despite the congestion in the station, many of the passengers at the station showed support to the workers and their campaign. “Today’s demonstration spread a sort of awareness to citizens so that they are aware of the mistreatment of Metro workers due to unsafe policies,” Daniela Pérez, president of the Unified Conductors Union, told Emol.com. The information campaign officially began on Monday with workers using the public announcement system on the train to spread their message, but workers have been making these kind of demands since at least late July. Workers allege that they are often forced to work overtime and night shifts without compensation and are even denied access to bathrooms. 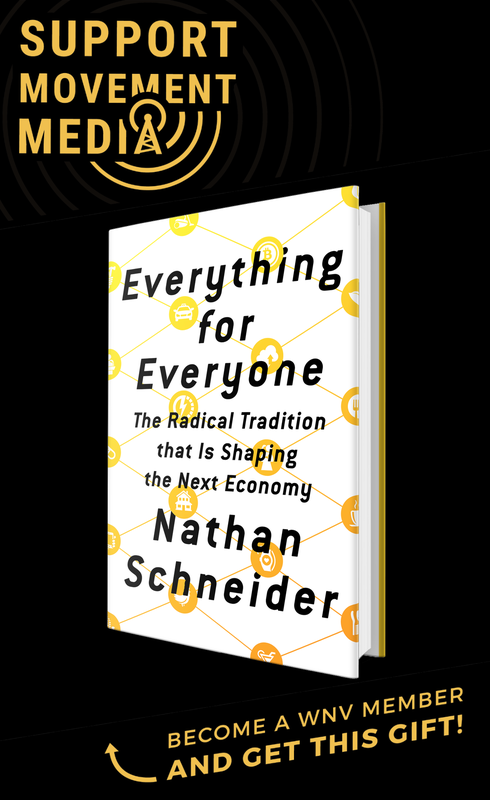 Because of protocols that require permission before workers can use the bathroom, some workers have even urinated on themselves and have been forced to wear diapers at work just to do their job. They also accuse management of engaging in anti-union practices and violating maternity and safety policies. Workers claim that they have even been forced to transport explosive materials, work sick, and drive trains with missing doors. All this, they say, ultimately threatens the safety of the passengers and the normal functioning of the Metro system. 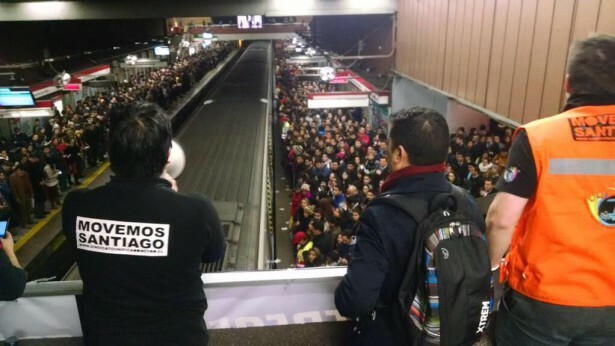 The Metro’s management denies the allegations and insists that workers are treated better than most working people in Chile. They also accuse the protesting workers of causing delays during their protest. The workers deny that they caused any delays and say that they are planning to “exert pressure” on management with more protests in the near future. The toll booth cashiers’ union also decided on August 21 to go on strike. This unified front of conductors, cashiers and other Metro workers has given management until August 31 to meet their demands and has promised to stage more demonstrations if working conditions aren’t improved.